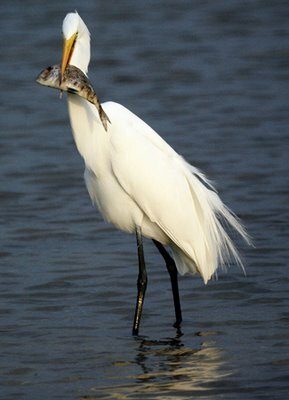 The seafood is supposed to be good in the greater Tampa area. 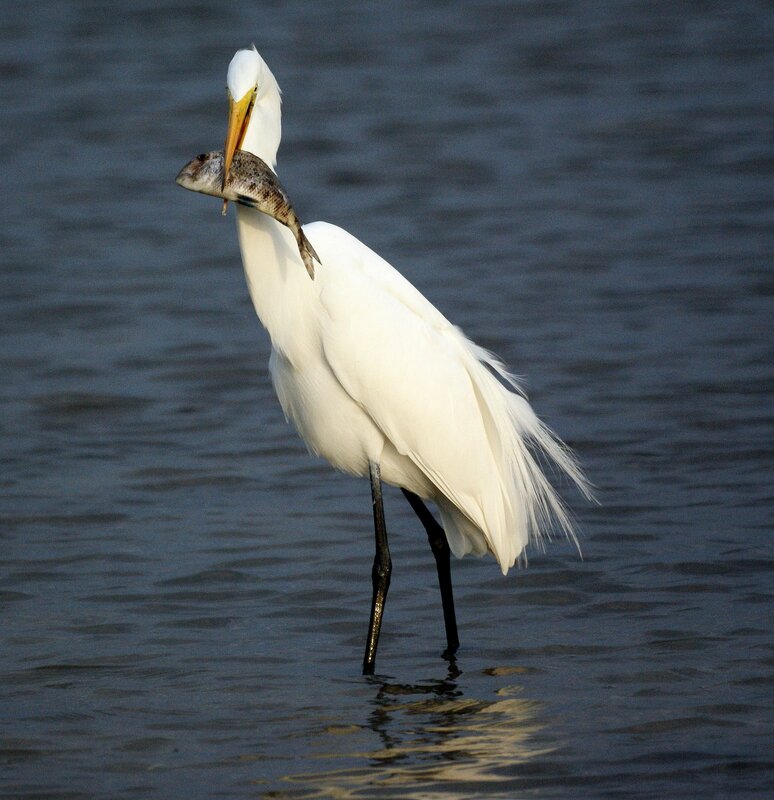 This great egret on Honeymoon Island must have been thrilled when he caught this fish. 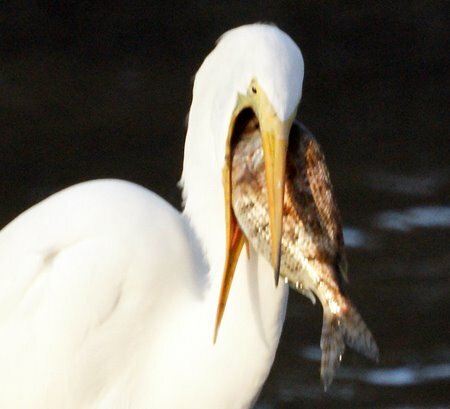 However, he had never heard that you should never eat anything larger than your head. 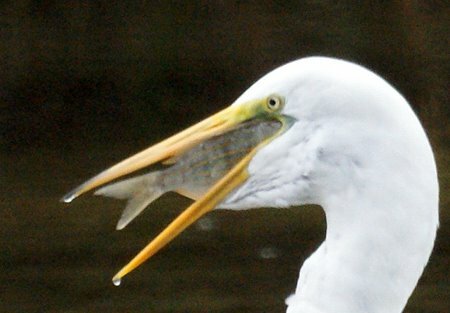 He tried many different ways for about 5 minutes, but was unable to swallow the fish. 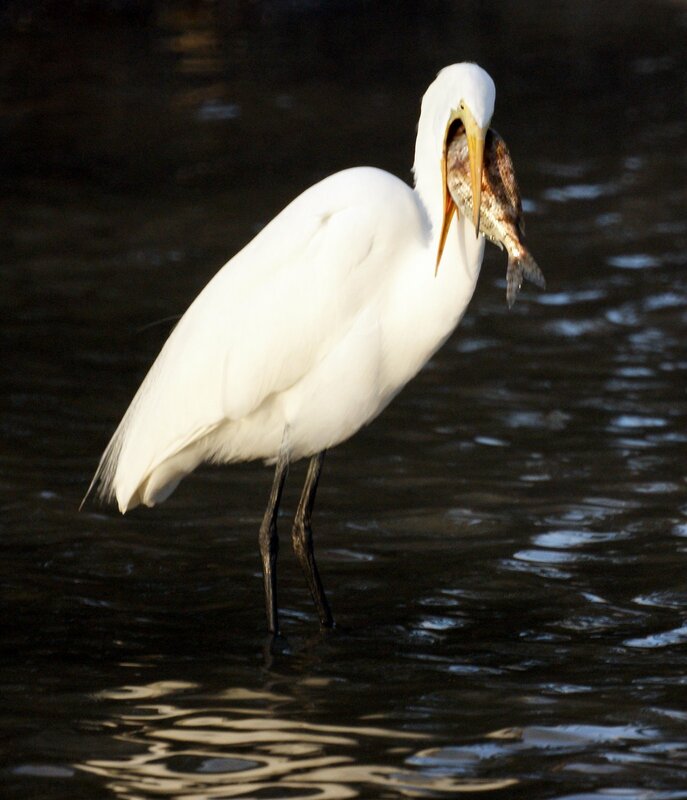 The next day, we saw another egret at Sand Key Park struggle a while with a fish, but eventually positioned it and swallowed it. 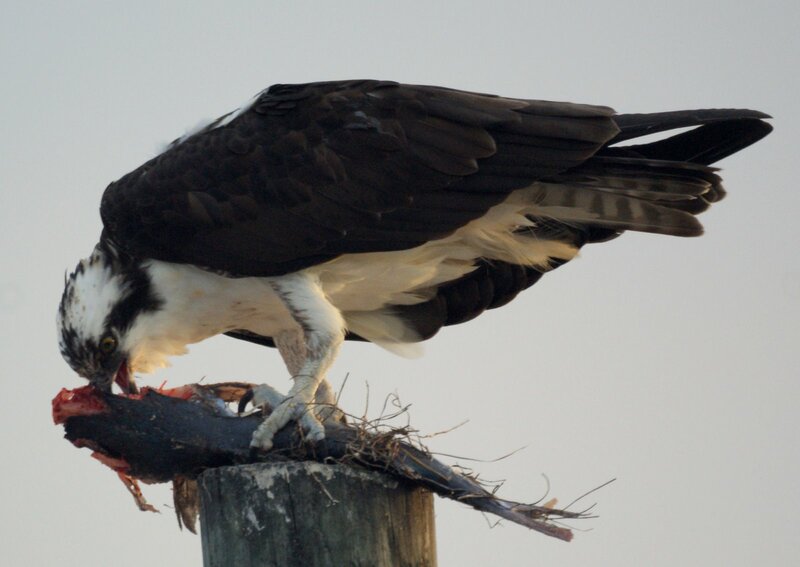 This osprey shows a different way to deal with a large fish. 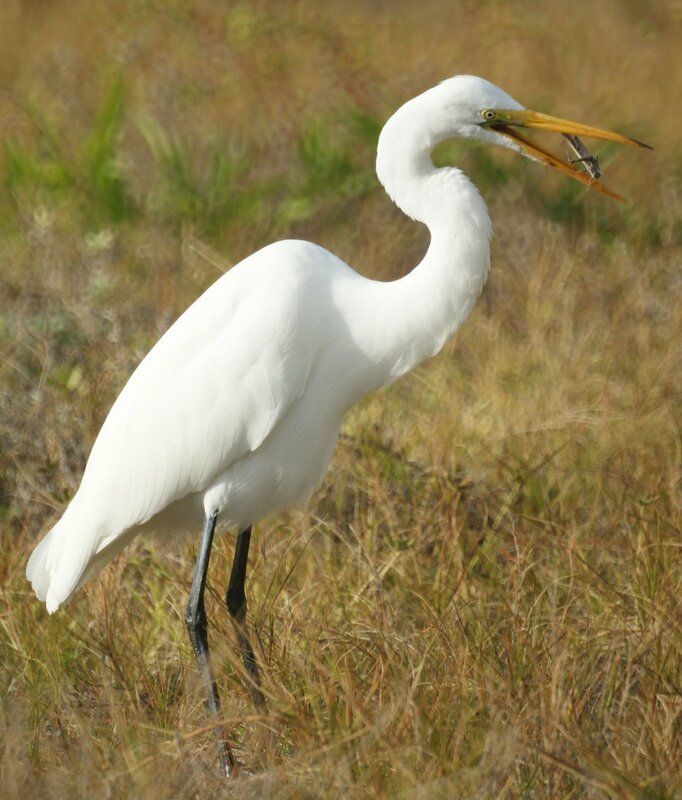 We were surprised to see that the great egret also eats grasshoppers. Awesome post..! 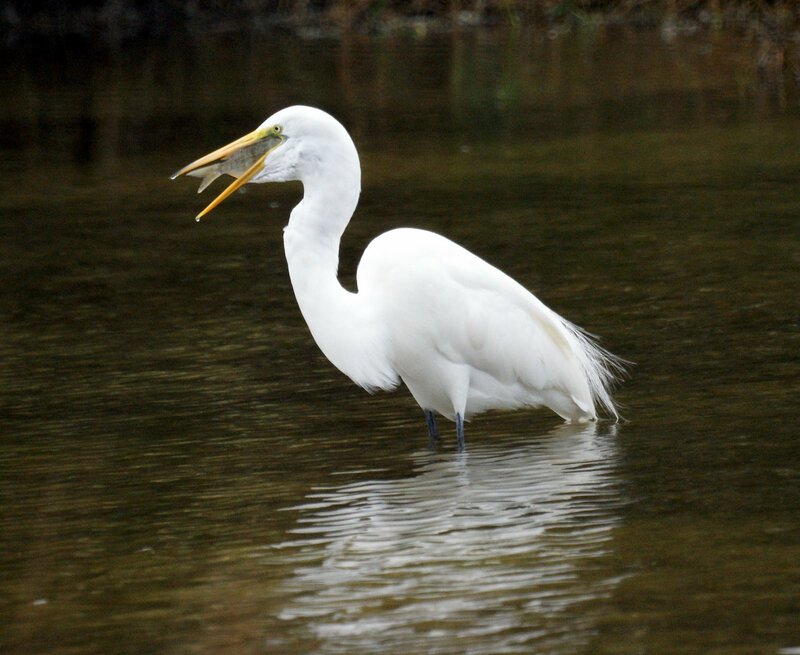 !Those pictures are indeed great,nice shots..! !I was really impressed with the photos..! 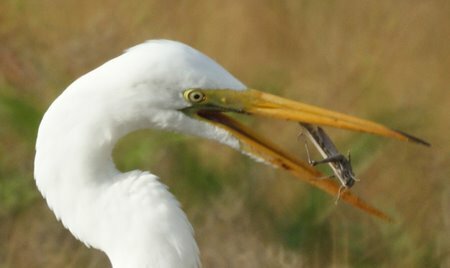 !Egret really eats grasshoppers..! !